The style and overall appearance of your surgery will be shaped by the type of cabinetry you choose. Woodlane Dental can supply and install quality cabinetry to suit your requirements. 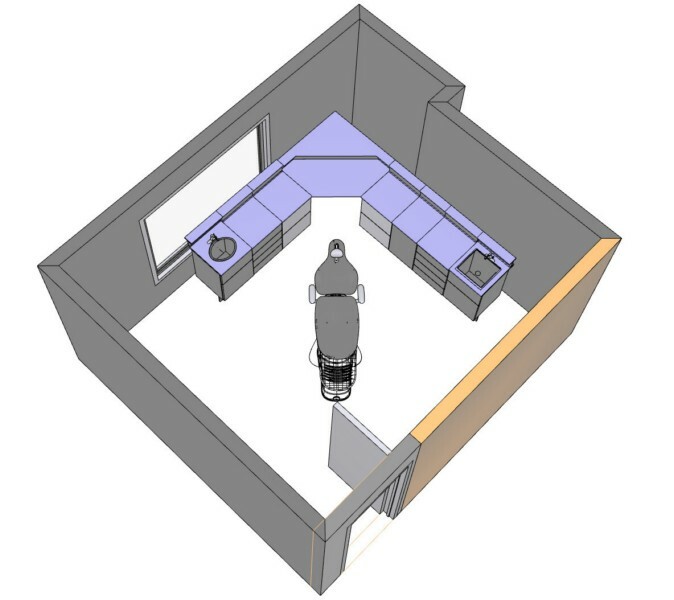 When we are commissioned to do a design for a surgery we will visit your surgery to measure up and discuss your individual needs following which we will produce a computer design, complete with cabinetry contents (instrument draws and equipment housing among other features). 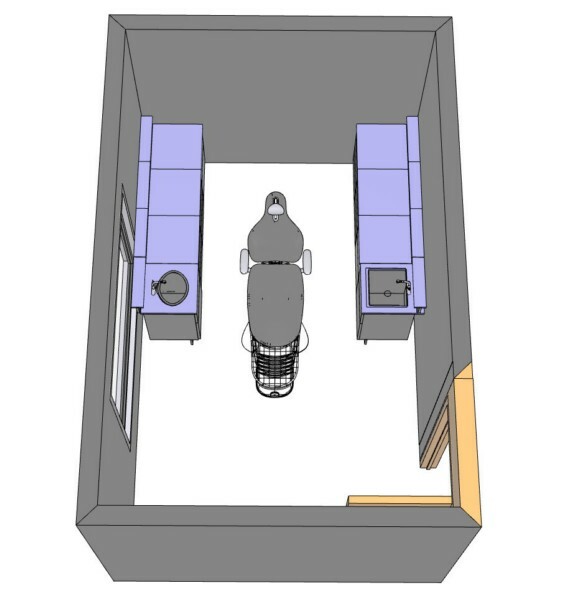 The surgery design plans including cabinetry are sent to you, for you to make any changes required and to give your acceptance of the layout as well as choose the colours. If you wish to proceed then as soon as your cabinetry is ready, it will be installed by our experienced trained craftsman who will put the finishing touches to your cabinetry. 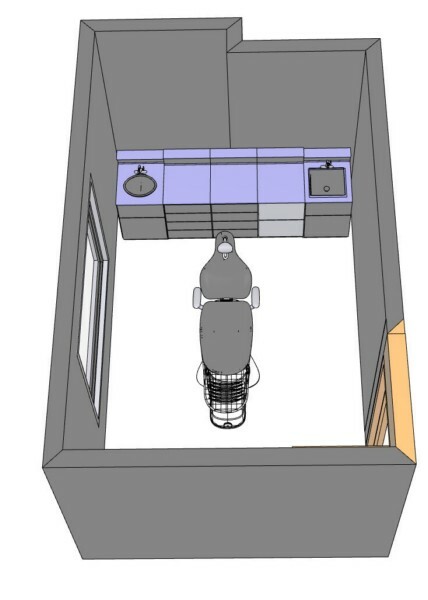 Naturally, the cabinetry layout you choose will be governed by a number of factors including the physical shape and size of your surgery and personal preference. However, you may have a layout different to examples shown on this website and we will work with you to produce a custom designed surgery to suit your requirements. Schematic representations of three ‘standard’ cabinetry layouts are provided as examples. Click on respective image for more details.